Today, many people have more than just one phone, such as a simple home phone, an office phone, along with at least one mobile phone. The more phones that you have with completely different numbers can make it complicated for the people you want to speak with to get in touch with you. For some people, it is important to have multiple devices ring for a single incoming phone call. So when a certain phone number is called, your home phone, office phone, and mobile phone will all ring at once. This is called “simultaneous ringing” and it is useful for work and personal reasons, too. If a call is important, it is likely that you won’t miss it if all of your phones are ringing. Global Call Forwarding offers a service where simultaneous ringing can occur from one of their virtual toll free numbers. With this single virtual number, you will be able to configure several devices to ring when the toll free phone number is dialed. This uncomplicates the way that people get in touch with you, while still being able to control the number of phone calls that you are receiving. It also enables you to receive business calls on all of your numbers without having to give out all of your personal numbers. Many call centers opt for this service from Global Call Forwarding. All phones in a call center will ring when the same number is dialed because it maximizes the probability that the phone will get answered. 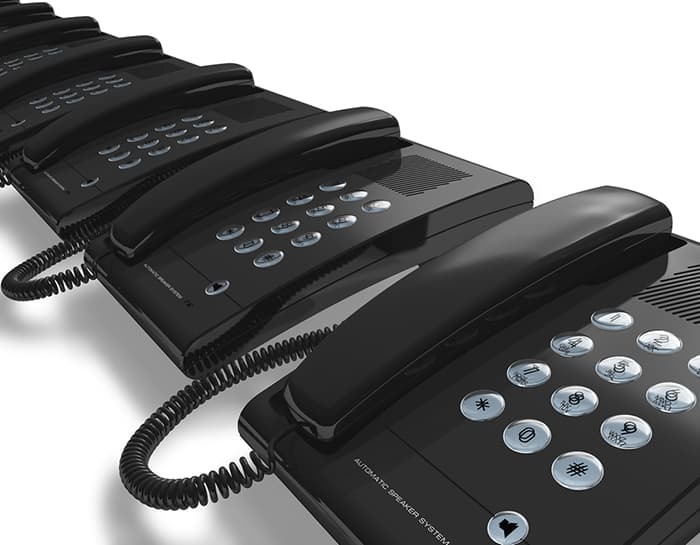 If all of the enabled phones ring simultaneously, the first person to answer the call will be the one who gets connected to the call. There is no uncertainty as to who the call gets connected to. This service is also very beneficial to small business owners or salespersons. If you step away from your business or your office to take a walk, get lunch, or if you have to leave early for the day, you might miss an important call. However, enabling simultaneous ringing to your office or business phone and mobile phone will ensure that you never miss a call, and never miss a sale. You can configure this to any phone that you like. Setting up your VoIP number to ring simultaneously with your mobile device and office phone will allow you to answer calls from anywhere, too. Simultaneously ringing is just one of several advanced features offered from Global Call Forwarding. Simultaneous ringing can work on its own or in tandem with other features. Everything is completely customizable, and you can work with a representative from Global Call Forwarding beforehand to decide what your specific needs are for your business. Go to GlobalCallForwarding.com and click the LOGIN button on the right-hand side. Select ‘Call Forwarding Configuration’ and select the toll free number that you need to configure. After you have selected the correct toll free number you can click on “Call Forwarding” and once there, you can choose the “Advanced” selection. Now, enter each phone number that you would like to ring simultaneously when anyone dials the appropriate toll free number. You can also adjust the amount of times that your phone rings before heading to its next destination, such as a voicemail box or another phone line. Don’t forget to “Apply” the settings! You’re all done! Remember you can go back and change your settings whenever you need to, as long as you have access to the internet. If you need assistance with these instructions or have issues with the control panel, don’t hesitate to contact us for help from one of our representatives. Each representative is capable of assisting you in any step of your process and is happy to answer any questions that you may have. You can also visit the FAQ page to find answers to frequently asked questions.